This is one of my clients. I was able to help him add over 10,000+ followers per day on his Instagram profile. Is that we did all of this PROFITABLY. I’m in this game so that I can create the lifestyle that I want. …and NOT have to build your life around your business. That’s the beauty of the Social Media Rockstar program. I remember it like it was yesterday. Business was moving at an amazing pace and I was comfortable where I was at. I clearly stepped into a place in my entrepreneurial journey where I was confident in my ability to help businesses run, grow, and scale profitably with paid traffic. One of my 8 Figure Clients presented a challenge to me. He wanted me to grow his Instagram following from just a few thousand followers to millions of followers on Instagram, and he wanted it done FAST. That’s when I decided to go into “Nerd Mode”. What is “Nerd Mode”, you ask? And I didn’t just do it for my 8 figure client. I did it again and again, with multiple profiles. I did it for multiple clients. And I even did it for myself, even though I’m the guy behind the scenes of fancy guru businesses, that most people don’t ever see. Then I want you to know this. You just haven’t been shown the true secrets to growing massive audiences that actually make you profitable. Up until now, there just hasn’t been anyone that’s actually done this stuff the right way, and if there has, they definitely aren’t out here teaching it. …and I’ve found a simple to way to explode almost any business online. This is a system that has changed the lives of almost everyone I’ve showed this to. And it’s about to change YOUR life! Knowing what I know now, I understand that building an online business is simple. But it’s not always easy. Only to discover that I still couldn’t figure out how to grow my audience and turn a profit online. You just haven’t been given all the information in the right order, at the right time. The internet has become so fragmented. There’s information everywhere. And there are products that you buy, that may contain 1 piece of the puzzle. But they don’t give you the full plan to execute and get stuff done the right way. That’s why I made this course. Your life is about to get an upgrade from the NERD. I run traffic. I build funnels. I monetize audiences. And I’ve probably done more ‘paid traffic testing’ in the last 7 days than most gurus have done in the last 7 years. …and not just what worked last year. Find the biggest and most influential pages in your niche (we show you how to do this). Model what’s already working for others (we show you how to do this). Put together a simple lead magnet + opt-in page that you can use to collect email addresses (we show you how to do this). Model our ads and start running paid traffic (we show you how to do this). Build your social following and email list simultaneously (we show you how to do this). Start promoting your offers and services to your new list (we show you how to do this). Sell affiliate offers (we show you how to do this). 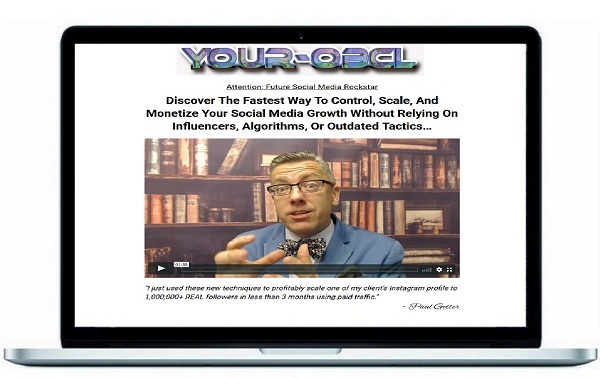 This is a system that can be setup and rolling in the next 24-48 hours, if you just follow the proven blueprint we’ve outlined inside of Social Media Rockstar. Within weeks, people are going to notice you. Everyone is going to wonder WHY you are growing so fast. You will have instant credibility in your niche. People will want to do business with YOU- because you will be the perceived expert. Just so you know where I’m coming from, here’s what I’ve done over the last few years. I’ve spent over $1 Billion on paid traffic, between myself and my clients. I consistently spend multiple millions per month just on Facebook and Instagram ads. I have multiple offers and funnels right now that are doing $300K+ per month in revenue. Out of all the experience I have, I can honestly say that using the strategies inside of the Social Media Rockstar program has been the most FUN and most profitable strategies I’ve used in business…EVER. And I’m pumped that YOU now get the opportunity to give your life an upgrade and start implementing the exact same strategies that are blowing up 7 and 8 figure businesses. PLUS, when you order today, we are going to hook you up with 2 amazing bonuses! Up to this point, this material has been reserved for my private clients, who pay me $5,000 per hour (or big monthly retainers) to walk them through these steps personally. You can get immediate access to Social Media Rockstar for only $197.